Did you ever notice that Sir Mix-a-Lot's rap, Baby Got Back, depicting his ideal woman, describes one that sounds a lot like a Victorian lady wearing a corset and bustle? An "itty bitty waist and a round thing in your face?" Well, I did and it made me wonder. Just what would a free verse Steampunk version of the infamously naughty tune read like if it were written in the mid to late 1800s? Oh my, Rebecca. Gaze upon her bustle. 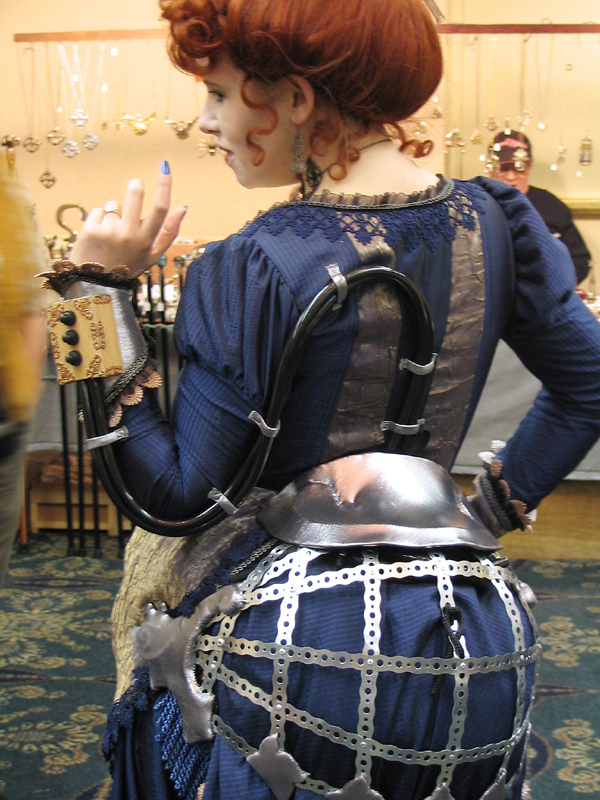 One of those steampunks' dalliances. \But who can understand the workings of the minds of those rakes? She looks like a fallen woman! Her bustle is just so large. I can hardly believe it's so round. I appreciate generously proportioned bustles and I cannot tell a lie. And an exaggerated bustle in one's countenance, one's brass fittings become strained. Under the layers of silk that adorned her lovely form. I am smitten and cannot tear my eyes away. However, your bustle has me flustered! Oh, bustle of the finest fabrics of the Orient! You intimated you would like a ride on my airship? Well, join me, join me. I have seen them frolic. Like the propellers of a dirigible. Declaring slim silhouettes to be stylish. Young ladies look bewitching in bustles. You could almost have left in the "you get sprung" line. It's a steampunk reference, right? LOL, this is great, and *where* can I get a corset like that?! Now I'll be singing my dear got bustle in my sleep! That corset is seriously gorgeous. I'm still catching up with all that I've missed over the past few months. 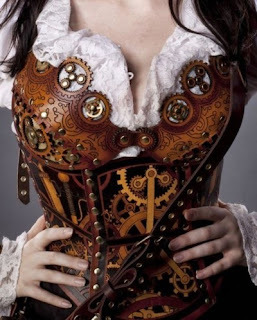 I think a neo-feminist steampunk bustle would be powered by moxibustion. @Ginevra: I must ask, is "Ginevra" really a combo of Ginebra and Minerva?